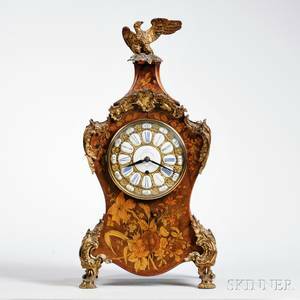 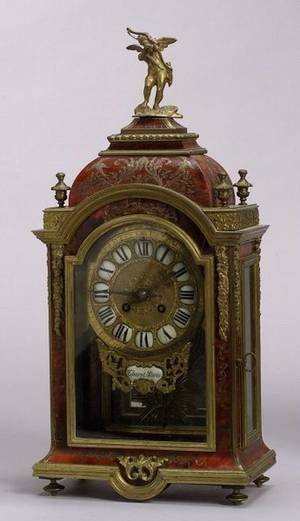 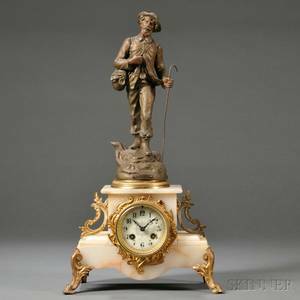 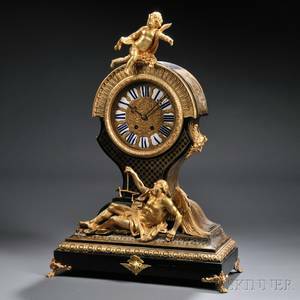 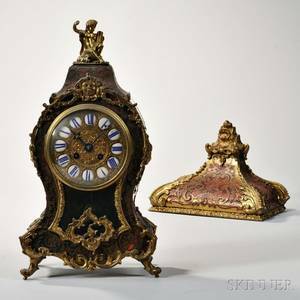 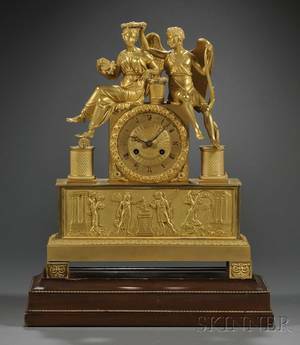 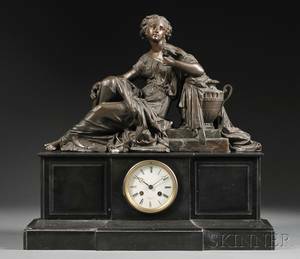 Figural Boulle Mantel Clock, France, c. 1860, the faux tortoiseshell and brass inlay case, a winged man holding a scale reclined across base, 1 3/4-in. 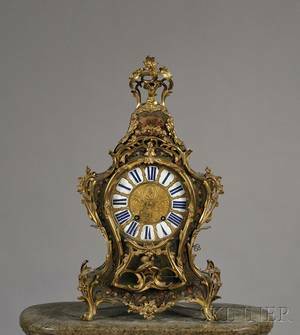 white porcelain shields with blue Roman numerals inset in the 10-in. 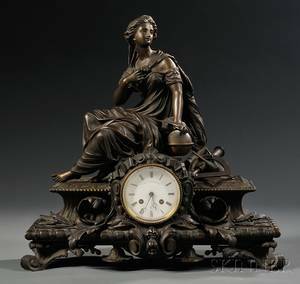 cast brass dial, heavy cast bezel, face of bearded man in a wreath of leaves on each side, cupid finial, spring-powered, eight-day, time and strike movement, silk thread suspension, egg-and-dart molding around wooden base, on scrolled acanthus leaves and lion's paw feet, ht. 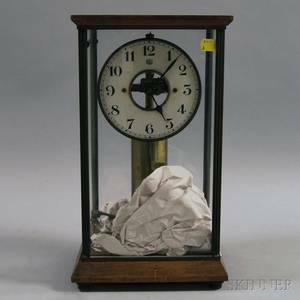 34 in.